The Reserve at Market Commons lies near the center of the complex, offering coveted addresses near the dining, shopping, and entertainment district. Beazer Homes, one of the top 10 builders in the US, is the builder and brings a reputation for quality construction and craftsmanship to the Reserve. Read more about The Reserve real estate. Exquisite 1 and 2 story, traditional-style homes with 3 and 4 bedrooms, range in size from 1,759 square feet to about 3,000 square feet and sell for around $200,000 to $300,000. 8 floorplans feature things like bay windows, fireplaces, trey ceilings, walk-in closets, Carolina rooms, and screened porches. 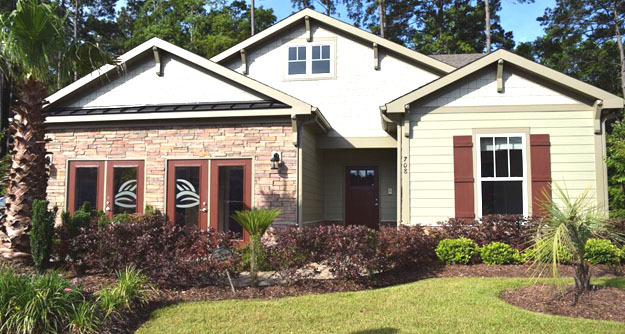 Residents enjoy a community clubhouse and pool, with nature trails for biking and hiking. Market Common offers movies, concerts under the stars, farmers’ markets, festivals and more. There are 120 golf courses in Myrtle Beach and hundreds of restaurants as well. Myrtle Beach State Park is also nearby. The 114-acre "Lifestyle Center" known as Market Common is a unique complex featuring more than 48 stores, restaurants, and entertainment options - surrounded by numerous luxury communities. 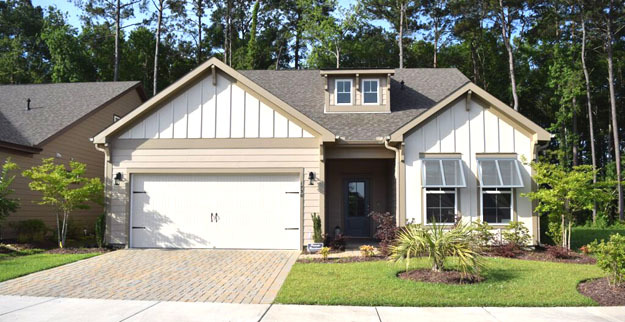 Opened in 2008, this neighborhood has grown into one of the most desirable areas of Myrtle Beach. This is the perfect neighborhood for the active adult who wants to be close to the fun, a great community for families, or the ideal retirement life for avid golfers and Beach combers. If you would like to know more, call our real estate professionals for a private tour of all this community has to offer. 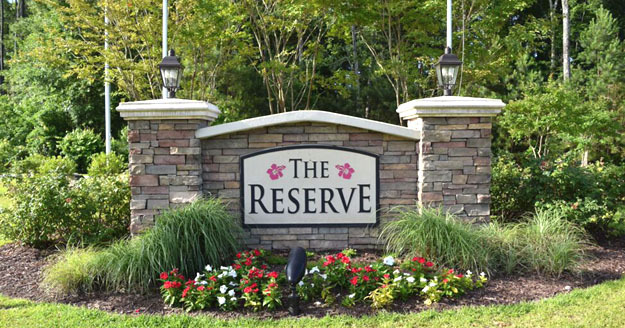 We would love to show you the beautiful homes for sale at The Reserve at Market Common.